Mother's Day is just around the corner, being 3 days away. No need to worry! There is still time to pick up a card and something sweet for your Mom before Sunday. The traditional bouquet of flowers is always great, and what girl doesn't like receiving flowers??!! Do something that will make her feel extra special; send a nice card, cook dinner for her, take her to her favorite restaurant, make a family scrapbook for her, send her to the spa for a day of pampering. Even if it's something easy and simple, Mom will appreciate the attention and love. 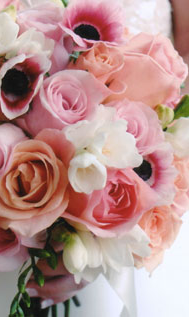 Fiori Floral, a Life Design Event Planning favorite, has a fantastic array of flowers for Mom. They are a local business, and can be reached here. If you are sending flowers, FTD always has a great selection, same day delivery, and prices for every budget. You can always look online for the closest flower shop near your Mom if she does not live in the same town as you. I love cupcakes, and especially love Sprinkles Cupcakes. 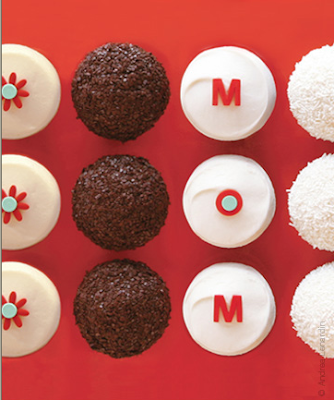 You can always pick up a "MOM Box" of Sprinkles for a tasty Mother's Day treat from May 8th-10th on Camelback and Scottsdale Rd. This selection features lemon, dark chocolate, red velvet and vanilla cupcakes adorned with daises and Mom sugar decorations. Yum!!! If you are on Twitter, and also love Sprinkles Cupcakes, follow them! They frequently post secret specials on their Twitter page. Today, the first 25 people to whisper "cactus" at any location, will receive a free cactus red velvet cupcake in honor of the Scottsdale store's anniversary. Let's go! Look for Life Design Event Planning on Twitter too! To all my Moms out there, Happy Mother's Day! !